Apologies for the delay in getting these up as they are reasonably big files to upload. "Hi all... Here are some of the detail of our adventures in closing out England. We have had a great day today in Paris and will post s blob and photos soon..."
We have arrived in France. But not before a few final, fantastic days in England. A few days ago, the 2nd XI took on our host Cricket Club in Northamptonshire while the 1st XI took on an undefeated Northants representative XI. In a picturesque setting, the 2nd XI were able to accumulate 238 before being bowled out in 46.5 overs. Will Lawrance continued his excellent batting on tour with 59 ably supported by Dale Lovatt on 36 with Josh Wear, Iggy Cranfield, James Suttor and Charlie Dummer also making scores in the 20’s. The bowlers managed to bowl Our hosts out for 188 with the spinners doing most of the damage. Iggy Cranfield taking 3/9 off 4 overs and Alex Hedger taking 1/16 of 4 overs, the pair really strangling the scoring and building excellent pressure on the batsmen. The 1st XI were forced to chase with Northants amassing a score of 242 with wickets being shared. Matt Hallas, Aaron Collins and Adam Jacklin all taking 2. In a fantastic run chase, Wanderers chased the score with two wickets in hand, Adam Ison scoring 60 and Matt Hallas continuing a great tour with 75. Matt Panecasio finished off the run chase with a quick fire 29. The following day we travelled further south. The 2nd XI faced a very strong Local High school team who bowled extremely well restricting the scoring early and forcing the Wanderers boys to take some risks. Kingsley Hamilton top scored with 38 before being on the end of a very dubious decision and Dale Lovatt getting some runs again with 25. Unfortunately this was never going to be enough with the locals passing the score with 10 overs remaining and only two wickets down. Dale Lovatt returning the best figures with 1/9 off 4 overs. The 1st XI maintained their unbeaten record with a solid win against Our local hosts. Wanderers batted first and put on a score of 5/230 with Brad Ison scoring his maiden century (102 not out) and Aaron Collins an even 50. Adam Jacklion was unlucky to be dismissed on 49 and is still searching for his first 50 in cricket. Despite being in control for the duration of the second innings, the final result was only a 15 run win to the Wanderers with Matt Panecasio and Aaron Collins taking 2 and 3 wickets respectively. Yesterday we spent the morning in Stratford Upon Avon, exploring the birthplace of William Shakespeare and the beautiful canals that flow through the area. In the afternoon we travelled to Worcester to watch Australia play Worcestershire in their final tour match before the first test. Shane Watson scoring a century and Chris Rogers, Ed Cowan and Michael Clarke all making 50’s. At the end of the day many of the group had the opportunity to chat with both Rogers and Watson and also having photos taken. Today we headed further South, visiting the holy city of Canterbury and its beautiful cathedral and ruined Norman castle. From here we travelled to Dover and explored the wonderful Dover Castle and its 1000 year history and importance in defending England throughout that entire time. From here we boarded the Dover-Calais ferry and here we are now resting in Calais before exploring the battlefields of the Somme tomorrow and then heading on to Paris. But not before a few final, fantastic days in England. A few days ago, the 2nd XI took on Overstone Park Cricket Club in Northamptonshire while the 1st XI took on an undefeated Northants representative XI. In a picturesque setting, the 2nd XI were able to accumulate 238 before being bowled out in 46.5 overs. Will Lawrance continued his excellent batting on tour with 59 ably supported by Dale Lovatt on 36 with Josh Wear, Iggy Cranfield, James Suttor and Charlie Dummer also making scores in the 20’s. The bowlers managed to bowl Overstone Park out for 188 with the spinners doing most of the damage. Iggy Cranfield taking 3/9 off 4 overs and Alex Hedger taking 1/16 of 4 overs, the pair really strangling the scoring and building excellent pressure on the batsmen. The following day we travelled further south to take on Stourport High School and Pershore Cricket Club. The 2nd XI faced a very strong Stourport High team who bowled extremely well restricting the scoring early and forcing the Wanderers boys to take some risks. Kingsley Hamilton top scored with 38 before being on the end of a very dubious decision and Dale Lovatt getting some runs again with 25. Unfortunately this was never going to be enough with the locals passing the score with 10 overs remaining and only two wickets down. Dale Lovatt returning the best figures with 1/9 off 4 overs. 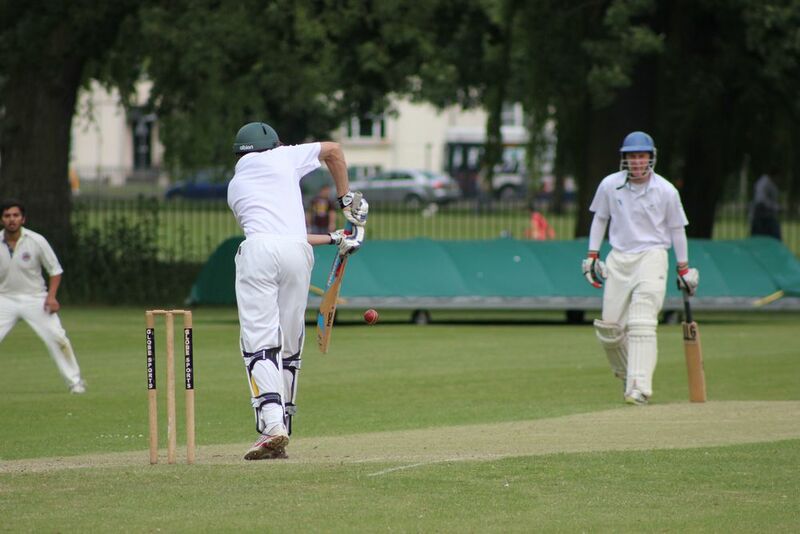 The 1st XI maintained their unbeaten record with a solid win against Pershore Cricket Club. Wanderers batted first and put on a score of 5/230 with Brad Ison scoring his maiden century (102 not out) and Aaron Collins an even 50. Adam Jacklion was unlucky to be dismissed on 49 and is still searching for his first 50 in cricket. Despite being in control for the duration of the second innings, the final result was only a 15 run win to the Wanderers with Matt Panecasio and Aaron Collins taking 2 and 3 wickets respectively. ATTENTION PARENTS AND FOLLOWERS....Please note that we have extremely slow internet and unreliable internet at hotels and updating posts on the blog are very difficult due to speed and time constraints. Please bear with us. Below is the latest blog, and we have a stack of photos and scores to upload but can't at the time of writing due to online issues, and are limited to text updates at this stage. As soon as we can post these we will when we have access to stronger download and upload speeds. Howdy folks, after a couple of great days of cricket where both teams managed string victories in all games we travelled to Taunton to see Australia take on Somerset in the first of their tour matches. It was a beautiful warm day and our seats were directly next to the players area so we were able to get up close to all the players from both teams. After an early wicket (that of former test player Marcus Trescothick) Somerset dominated the Australian attack racking up a mammoth 2/302. We were on the end of a great deal of good natured ribbing and some fantastic singing from the Somerset supporters behind us. However, the best was yet to come because tJames Pattinson and Mitchell Starc ripped through the Somerset batesmen to have them all out for 320. THAT'S RIGHT they lost 8 for 18 in the last hour of play. The boys were ecstatic and were then able to have a chat with James Pattinson and Ed Cowan when they came out for their cool down. 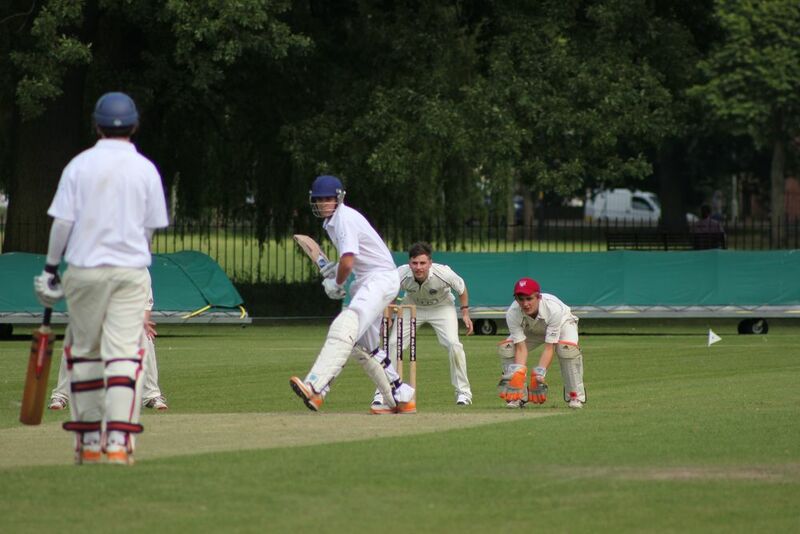 The following day we travelled to Cheltenham for our games against Cheltenham College. Upon arrival we were amazed at the incredible setting for the ground that the First XI would be playing on surrounded by historic buildings and watched over by two enormous chapels. The 1st XI were asked to bowl first and spent 50 overs chasing leather while the Cheltenham College boys put on 320 runs. Unfortunately they weren't able to test themselves as the heavens opened and the rain caused the game to be stopped. The junior boys were playing in a triangular T20 tournament with Cheltenham College and Peponi School from Kenya. Again the rain intervened with Peponi 6/90 chasing Wanderers 117 with 5 overs to spare. A grand stand finish was in store but alas, poor weather was our enemy. The evening was spent in the care of Cheltenham College in their boarding houses. Wonderful hosts. Today we travelled to Manchester for our first games in Lancashire but again the weather was not our friend. 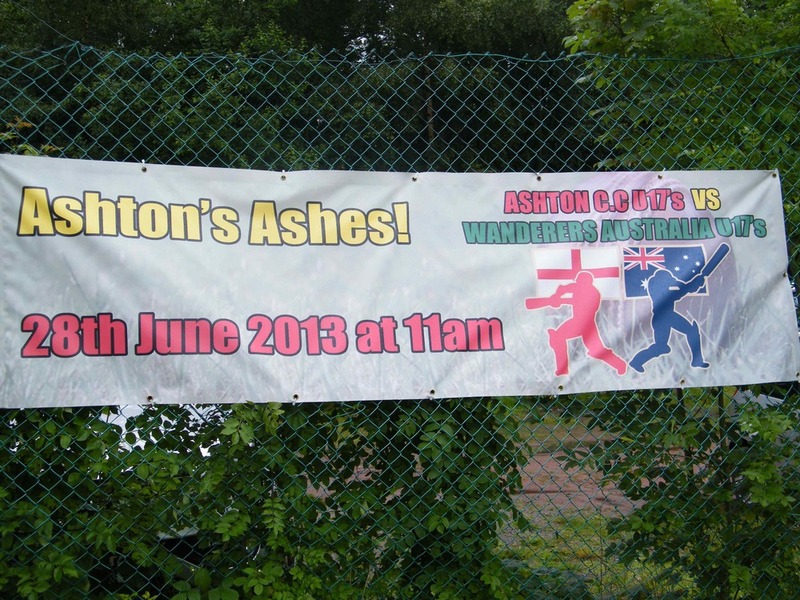 We arrived at Ashton Cricket Club to be met with Australian Flags and a wonderful reception. Despite the poor conditions the 1st XI went out to bat and managed a score of 181 with 67 not out from Matt Hallas, 45 from Jack Raffles and 40 from Adam Jacklin. Before the restart, the rain came tumbling down and the game was abandoned. 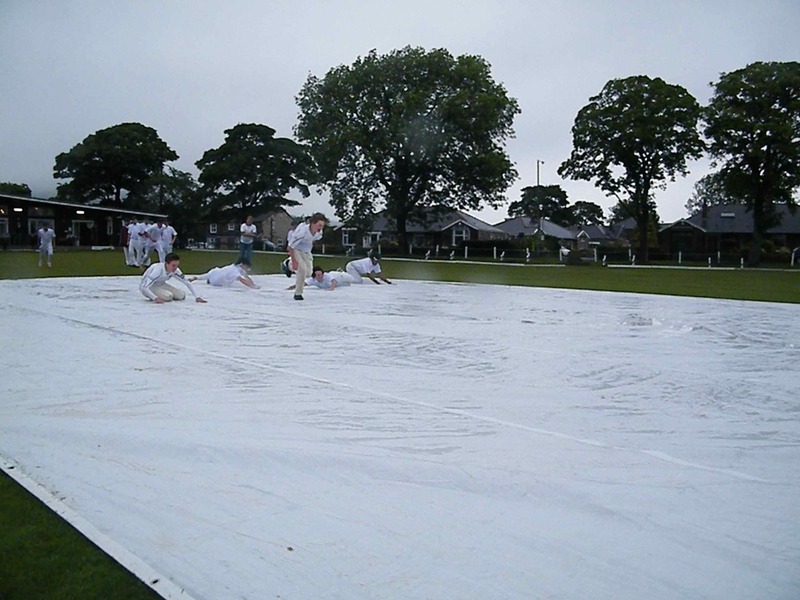 The 2nd XI travelled to Greenmount Cricket Club but unfortunately were unable to play due to rain. A great deal of fun was had playing modified cricket games in the rain and playing pool and darts in the clubrooms. 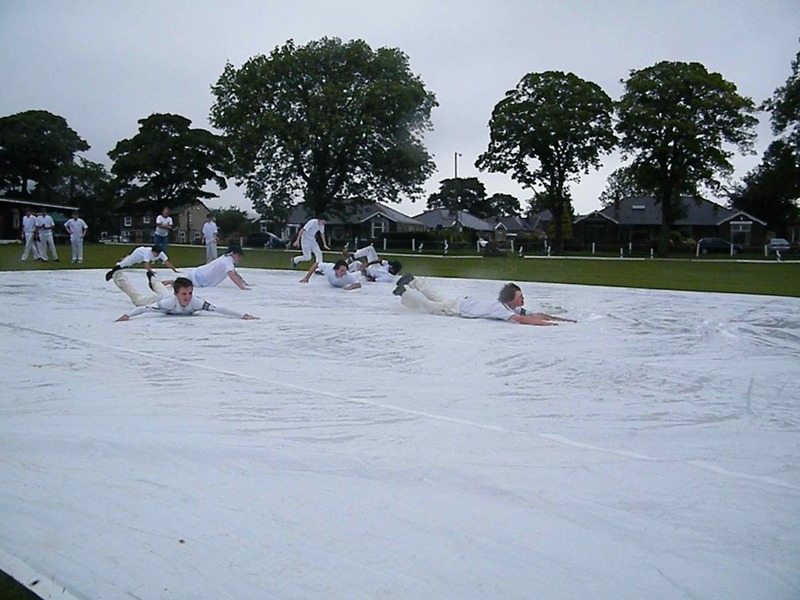 Better conditions greeted us at Warrington Cricket Club for a pair of T20 fixtures. After a slow start, the 1st XI managed to put together a competitive 120 with Adam Ison scoring 43 not out, Aaron Collins 28 and Brad Ison 20 not out. After a run out in the first over, Wanderers managed to have Warrington 3/6 in very little time. This meant that the locals were under pressure from the outset and were not able to recover finishing on 67. The Junior Boys also managed 120 with Charlie Dummer on 42, Iggy Cranfield on 30 and Joel Wood on 18. The best was yet to come from Joel who then went on to take 6/13 and leading the Wanderers to victory. This despite an outstanding performance from Kingsley Hamilton who represented an undermanned Warrington CC taking a wicket and catch and then making 52 with the bat. Warrington finished on 109. Off to Northampton tomorrow after touring Old Trafford this afternoon. First gsmes on tour all went to plan. Both teams with a win. 1st XI managed to chase down 98 comfortably with god battong contributions from Jack Raffles, Aaron Collins and Matt Hallas. 2nd XI chased down a competitive 178 with Will Lawrance making an unbeaten century. Great start for the lads. After a long and arduous trip we arrived in London abd immediately set out go see the town. A walking tour ked by our intreoid guide, Mike, took us by Buckingham Palace, Big Ben, Westminster Abbey, Downing Street and many other sights. In the afternoon we toured The Tower of London, the scene of many gruesome executions including several of Henry the 8ths wives. We then retreated to our hotel for an early night. The following mornjng we headed off to Convent Garden for a couple of hours shopping befire heading to Lords fir a training session and a chance neeting with Shane Watson and Chris Rogers. 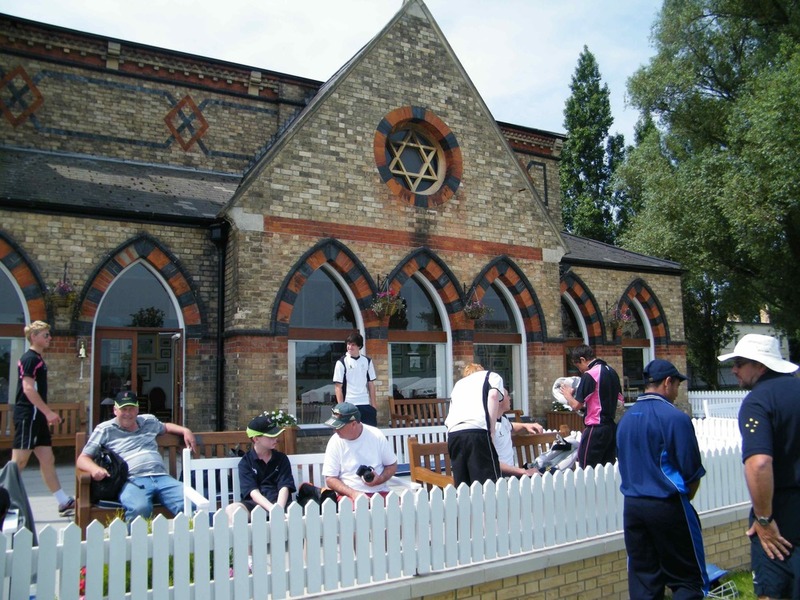 We then went on a fabulous tour of the home of cricket hearing the ashes story, seeing the famous urn, the long room, players dressing room and hearjng all about the famous Lords "slope". A big thanks to our tour guide Bob. From here we travelled back to Picadilly Circus for some shopping and dinner before heading to the River Thames and going for a spin on the London Eye. Great views despite the rainy weather. Off for our first ganes tomorrow, looking good at training today so hoping for two good results.